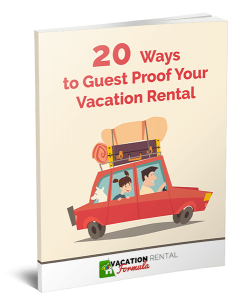 There’s no doubt, being in the vacation rental business becomes more challenging every year. 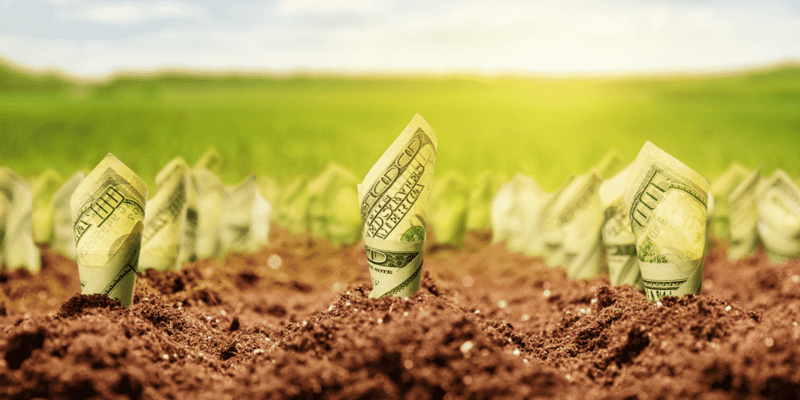 While we love the growth of the business it’s brought with it an increase in competition, a rise in guest expectations, and the need to be on top of technology. In this episode, I wanted to share what I think we should all be doing in 2018 to, not only keep up with all the changes we’ve seen this year but to get ahead of what’s to come. Because as sure as apples are apples, the rate of disruption is not going to slow down and we need to be fully prepared for everything that gets slung at us in the new year. To achieve any semblance of independence we must focus on content. It’s the one thing the OTAs cannot do! Travelers may go to an OTA for accommodation but they search elsewhere for information on the location they’ve chosen. And, since they usually decide on location before deciding on where they will stay, why not drive them to your own site with massively useful content. However, as this Huffington Post article says “If content marketers don’t know the basics of SEO, they stand to create content that isn’t as successful as it could be”, which means that you should ignore SEO at risk of creating content that goes nowhere. So, get going on a bunch of content for 2018. From evergreen articles for your website to blog posts, YouTube video, and Instagram Stories, content can be just about anything, as long as it is well optimized and drives traffic back to the core site. Back in the summer, I was contacted by a journalist from The Toronto Star. She had found me on Twitter and wanted to ask a few questions about cottage rentals. We spent 40 minutes on the phone and around mid-July her article was published in the Star, which is one of Canada’s most popular newspapers. Just last week the same article was released with a winter spin on The Star’s website. Make 2018 the year of making video. Make an ‘intro to you' video. Do it at your property; sit in the kitchen and just talk to your potential guests about what makes it great and how you want to welcome them. Do a how-to video. How to get in and out of a kayak; how to play bocce ball; how to fish in the ocean from the shore….. Stand out in the snow and tell them how great it is in winter. See…easy. Let me know how you get on! In my keynote presentation at VRSS in May, I talked about collaboration and how amazing it was to network and work with others in this business. Yes, you can do it on Facebook, but getting together face-to-face is so much better. There are so many opportunities to network in 2018, so plan on attending at least one. The cost of attendance is a business expense and the ROI can be evaluated in terms of the growth in your business after the event. I’ve listened to Jason Beaton enough to know we should do more email marketing. This means growing an email list, creating a series of lead magnets, setting up email automation systems and tracking everything you do. Automation doesn’t mean losing the personal touch. You can still respond on that individual level to guests, but when you need to just remind site visitors that they made an inquiry and you are still out there, it comes in really handy. If you haven’t got to grips with Google Analytics for your site yet, make 2018 the year of learning. I am. GA is a phenomenal tool that can track just about everything on your website. Find out which pages are visited the most and how your content is really doing. You can track your visitor's path across your site; see how effective any Facebook advertising is at sending people back to the site, and monitor simple stats such as bounce rates and page views. Take some time to learn the GA platform and it will help in understanding site visitors’ behavior. Last week I wanted a new Twitter and Facebook cover. I could have done it easily myself but it would have taken a bit of time, and I could use that more effectively elsewhere. So I went onto Fiverr.com and 24 hours later and for only $18 (which included a tip) I had a perfectly acceptable new cover for Twitter, Facebook and for our YouTube channel. Another job that went to Fiverr recently was a checklist that we wanted converting to a fillable PDF, so our owner clients could complete their inventory online. Another perfect task completed. Fiverr.com is great for the small jobs. There’s Upwork for bigger ones, and for taking on longer-term staff. And if you need full-time virtual assistants I highly recommend Virtual Staff Finder. 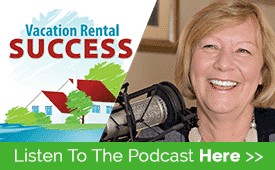 You are a vacation rental professional and you know what you are best at. Don’t spend time on things that eat up your time, and someone more proficient can do in a fraction of the time. Great podcast Heather! I love the video / youtube point and if you need any Youtube best practices let me know – I’ve gone through the Youtube Next Up program in my other life as a personal trainer. http://www.youtube.com/user/fitnesstrainingbyjon. Would love to chat about it if you like. I’m a recent VR owner (1 year) and I own 2 properties in Scottsdale Arizona (http://turquoisehousescottsdale.com). Another great episode and guest be ‘nerding’ out as very similar high priority taskes for 2018. Very much interested in Google analytics and you mentioned you’d post a link to the course you were doing in the show notes – have I missed it? Please do mention on future episodes how you are finding it, insights you’ve gained from it and SEO etc. Would you be able to post the link to the twitter course you mentioned on vacation rental success? I’ve always been confused by the positioning of vacation rental success relative to cottageblogger (did seek clarification many moons ago but don’t believe there was a response). As a potential show for the future, how about “Top 10 things to outsource/get staff to do”? Have a great festive season. I really enjoyed this podcast! These are also my 2018 goals but I don’t use twitter much. I’ve started serious on linkedin on the past 2 moths and I’m finding a fantastic tool. I was very interested in the possibility to outsource some works and I think I should give a try in 2018. I also vote for Matt Elder suggestion about a podcast “Top 10 things to outsource/get staff to do” 🙂 Have a Fantastic 2018 and hope to meet you again next year at VRMA Europe, in Paris. Thank you Heather. I almost missed this one. Great resources and congrats and the Star articles.